At my school, which serves gifted students, it can be a challenge to find books for youngsters who can read "chapter" books at an age where they're not ready for a lot of the content contained in most novels. If you have a reader like that, you've no doubt run up against that challenge. Some of our 5- and 6-year-olds might be able to read the words in Harry Potter – and even think they're interested because of the movies and talk from bigger siblings and schoolmates. But the content in the books is too scary or sophisticated for children that young. So is the sheer length. Same thing goes for many other novels. The subject matter is simply geared to the interests of the children the author believes are most likely to be reading the books – which makes perfect sense. 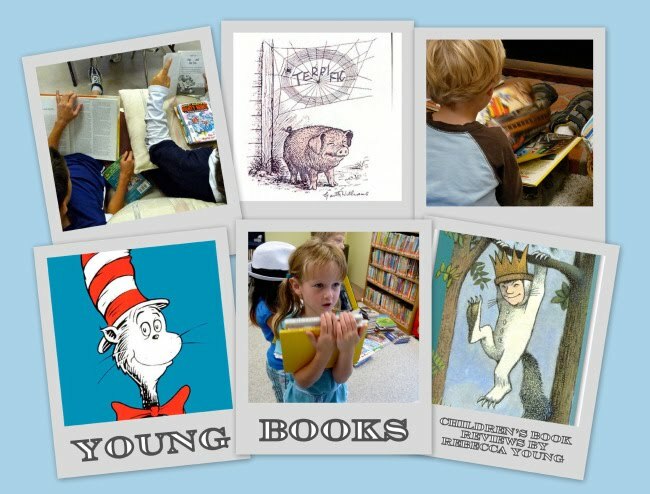 Most younger kids, even those who are precocious readers, still like big print, pictures and a book they can fit easily in their little hands. And wouldn't it be nice if they had characters and situations they could relate to to go with reading material that was at their level. As this blog grows, I'm planning to create some specialized book lists, and one for these kids will definitely be included. But for now, young fantasy lovers will be entranced by Gruffen and its sequels, Gauge and Glade , the the first three books in Chris D'Lacey's "Dragons of Wayward Crescent" series. This is a junior version of D'Lacey's popular Last Dragon Chronicles series (The Fire Within , The Fire Eternal , et al). The charming series for younger readers reprises two of the same characters, Lucy and her mother, Liz, who makes ceramic dragons, some she sells, and others who come alive. Those live at Liz and Lucy's house. Each has a special role to play, like cleaning or listening for unusual noises. They look the same as any of the others when visitors are around. Whenever a new task needs to be done, Liz makes a new dragon. As Gruffen opens, Lucy is having trouble sleeping because she sees a monster in her room, so Liz creates Gruffen to protect her. There's good detail about the creation and a comical and harrowing description of Gruffen learning how to be a protector. It involves bumping into walls and landing in slippers. After he's competent, he discovers that Lucy's monster is only a bat. The tale then weaves in facts about bats and peaceful cohabitation (despite the efforts of a crochety neighbor to drive bats out of the neighborhood). It's a satisfying, just-scary-enough read for young ones, and a decent read-aloud, too, with lively black-and-white line drawings by Adam Stower. In the two other books, Glade is a mood dragon and Gauge is a timing dragon employed to help save the town's clock tower. This is great! I will look these up. For the niche you're talking about, we have found that Judy Moody is excellent, and Nancy Drew and the Clue Crew (a junior Nancy Drew series) are good. Junie B. Jones isn't much fun to read aloud, but independent readers can read them solo. I'll be interested in your column when you write it.